8. Momentarily considered sending that photo of snow requested by a local news outlet. 7. Been wearing the same U of U Football blanket as a housecoat since November. 6. Know not only all of the characters’ names on NCIS, but also NCIS: Los Angeles. 5. Open-mic set consists entirely of jokes about cats eating your undiscovered corpse. 4. Haven’t logged-in to VladsSexVan.com account for weeks. 3. 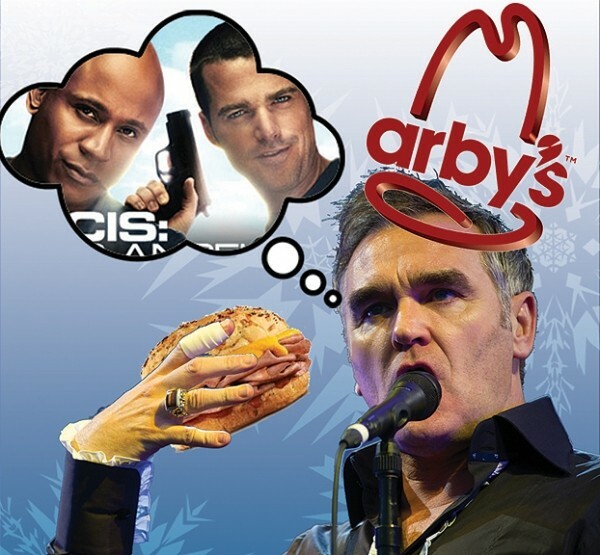 Arby’s. Lots of Arby’s. 2. Drinking Wild Turkey out of a Pepsi can and starting fights with kids at Boondocks doesn’t bring the same satisfaction anymore. 1. Everything hinges on Morrissey not cancelling again.